Christmas is here and I still cant believe it. On the 24 of December we celebrate Christmas while in other countries the 25 of December is Christmas Day. With these Greek Melomakarona - Christmas Cookies ill end the series of International Christmas Recipes. Ofcourse there are so many international recipes to chose from and it was hard to decide which recipes to try for the Blog. I decided to end the series with these simple cookies that are traditionally eaten in Greece. Usually you use Honey to make the Cookie - Sirup but I used Agave Sirup as I try to reduce the sugar of the recipes in this Blog. The special thing about the Melokramona Cookies is the distinct Olive Oil taste and all the spices that you use which are traditional to Christmas. Clove, Cinnamon & Nutmeg are the main spices in the cookie. 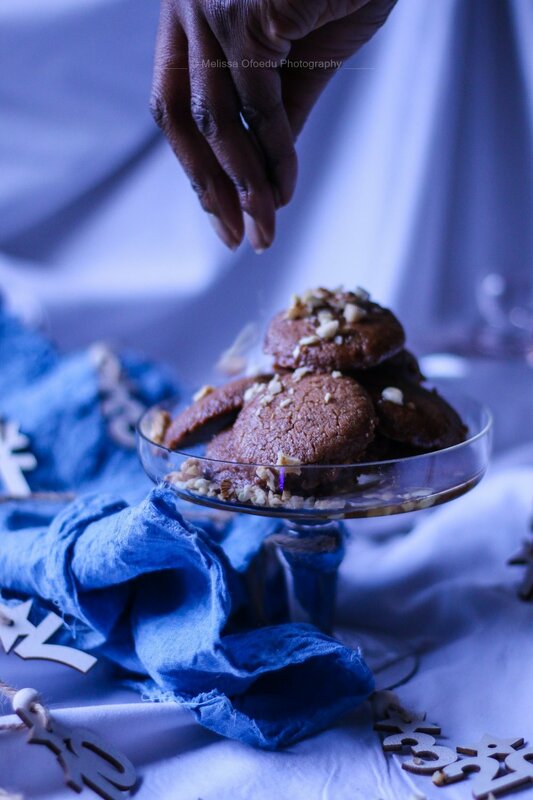 In the original recipe you would also use Cognac but im not a huge fan of alcohol in Cookies which is why I replaced the Cognac with ginger juice. Cognac is quit sharp in tast and I thought Cognac might be similar in tast and outcome after baking.